This year, Koepfer America celebrates its 25th annual “Gear School,” known formally as the Fundamentals of Parallel Axis Gear Manufacturing seminar. Nearly 1,000 people have gained knowledge on the gear manufacturing industry by attending this three-day seminar. Looking ahead, the seminar will continue its established reputation as a leader for gear manufacturing education. The seminar was designed for entry-level personnel, but it can also be a great refresher for those with industry experience. It helps gear shops of all sizes bring their employees up-to-speed on a wide range of topics. Attendees learn several topics, such as Gear Nomenclature, The Hobbing and Shaping Processes, and several other topics including Gear Inspection, Cutting Tool Materials, and AGMA Standards. These topics provide valuable knowledge to all types of attendees, including manufacturing management, industrial engineers, supervisors, set-up personnel, operators, and quality control. 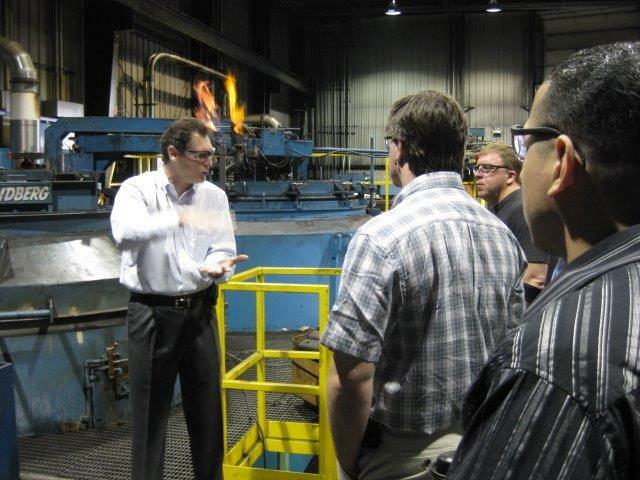 The seminar has always included tours of industry-leading gear production facilities, such as Overton Chicago Gear and Forest City Gear. These tours are also supplemented by visits to other industry-relevant facilities that provide both sharpening and/or high performance coating services. By seeing these companies in person, attendees gain insight into several facets of the gear manufacturing industry. Koepfer America continually updates and evolves the seminar, so that it remains contemporary and valuable for attendees. New topics have been added, such as High-Performance Coatings. Other topics like Production Estimating are revamped each year to reflect the latest trends in gear processing. Koepfer America is proud to have provided such a positive resource for the gear industry for a quarter-century. The Fundamentals of Parallel Axis Gear Manufacturing seminar will continue to educate industry personnel and provide a critical training resource for all gear manufacturing companies.